I drew this for Flagpole Magazine in 2006 but never colored it until now. The article covered highly anticipated local releases, so I designed a few "knockoff" album covers, including this one inspired by Weezer's Blue Album. 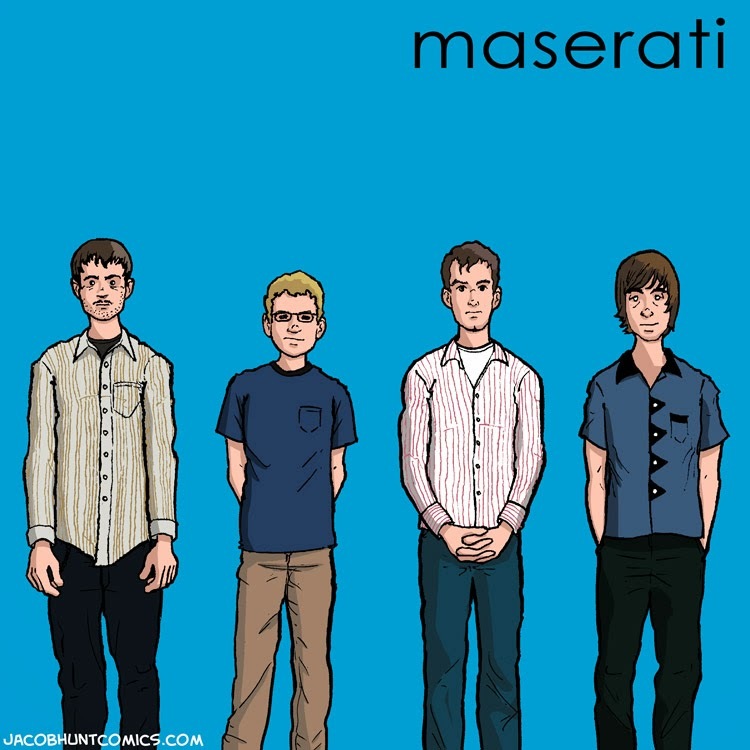 Apologies to Maserati; I'm sure the likenesses are way off.